CELEBRATE: make a simple newborn Halloween costume. This year is our little munchkin’s first Halloween! When I was growing up, our family often made our own costumes and I couldn’t resist creating a simple outfit for our baby. I wanted to make a quick and easy girl’s costume for her that was cute and fun. Our Little C is such a sweet gal that a conversation heart candy seemed appropriate! 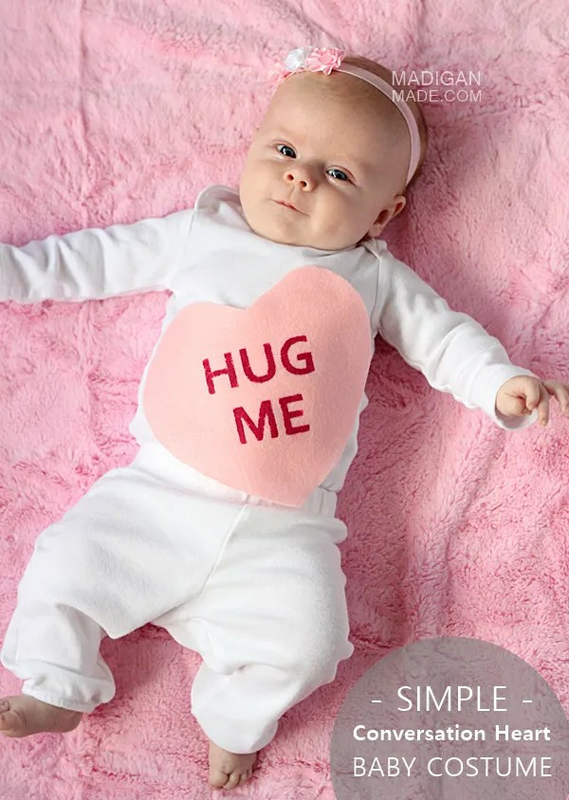 This baby costume would also be a cute idea for a Valentine’s Day outfit, too! 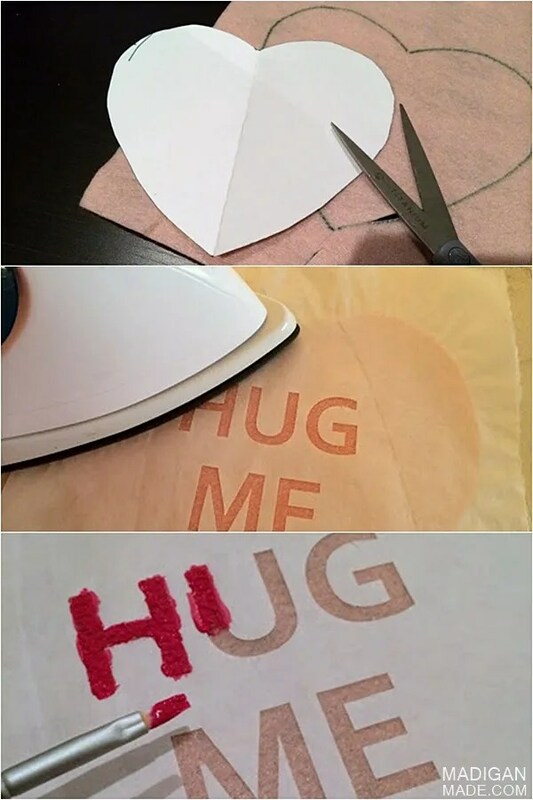 My biggest challenge was what traditional conversation heart saying to use on the costume. I debated between “Hug me” and “Cutie pie”…. as you can see, I decided on “Hug me”! This baby girl is so cuddly and lovable, that the saying I chose seemed very appropriate! And if you wanted a baby update, I’m happy to report Little C is growing by leaps and bounds! She is full of sweet smiles lately! She sort of found her hands and is happily batting at objects this week. Please be sure to follow me on Facebook and Instagram to keep up with our happenings during my maternity leave.